Even at a young age, she knew that music was the life path best-suited to her. Before her ambitions led to the DJ-ing part, she was working at Fat Beats Amsterdam – the go-to record store for the hip- hop community. In a major boost to her new calling, the leading Dutch comedian Dolf Janssen asked Carita to assist him in his TV program Later It Will Be Fun! Carita is responsible for the show’s opening tune, as well as funny tunes accompanying the subjects being bantered about by Dolf and his guests. Pierre Papa, the then-Program Director at the FunX radio station, spotted her on TV and brought her in to host her own radio show. Together with DJ Chuckie, Carita presented FunX Club every Friday night for about a year. She then left for event organizer ID&T, at which she was charged with promoting various major events. 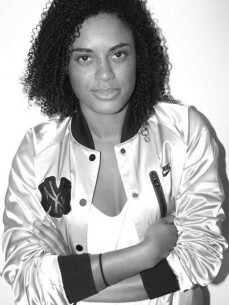 2010 has been an active year also for Carita because she was chosen again to be one of the frontrunners of the new Nike campaign “Take Mokum”. Her face was all over Amsterdam to make the people familiar with their worldwide project Run Unleashed. As a special anthem for the Dam to Dam, Carita teamed up with U.S based Brittany Flickinger to write an uplifting and motivational track by the name of "On Top Of The World. This track was released by N.E.W.S recordings. The videoclip is to be seen on YouTube!